Hi there Jam Fans! It's that time again... the end of the year and time to stock up on the fruits of my love and labor! I still have dozens of flavors and some are going fast. So hows about high tailing it over to my hood in the lovely beach town of Seabright. 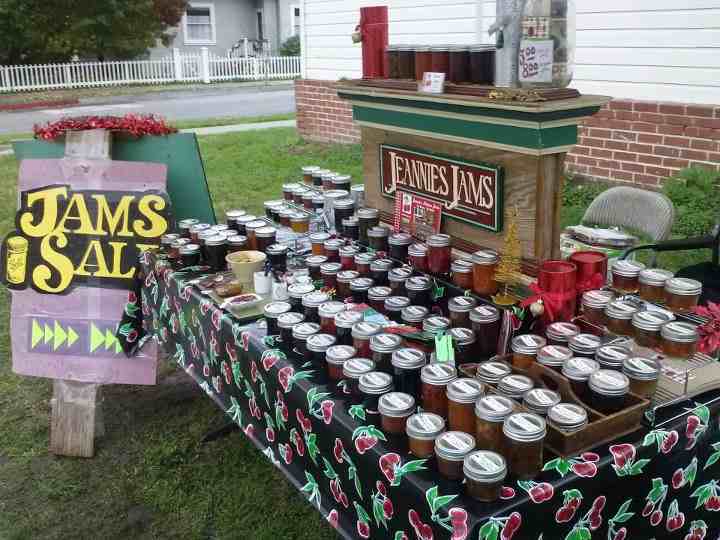 I'll have my friendly and familiar JamStand set up at the corner of Seabright and Windham Street. I'll be waiting for you with bells on and ready to load you up with stocking stuffers, and small treats for your mailman, hairdresser, favorite teachers and loved ones who just LOVE to have something useful AND delicious. Some Blackberry Merlot Jelly, Pineapple Apricot, Vanilla Spiced Pear Butter, Spicy Jellies and Chutney's of some fabulous berry jams to make your PB&J's sing with delight! I have lovely gift packaging to make it all easy for you. Can't you just imagine bringing your hostess some delicious exotic Heirloom Tomato Jams or sparkling jellies. That will show your love! Season's Greetings Ya'll!